ALBANY (October 18, 2016) — The Saint Rose Camerata, the College’s acclaimed faculty chamber ensemble, continues its 14th year with a concert of works by Italian, French and Russian composers of the 19th and 20th centuries. The concert will take place Saturday, November 12, at 7:30 p.m. on the D’Arcy-Brady Stage in the Kathleen McManus Picotte Recital Hall, Massry Center for the Arts, 1002 Madison Ave., Albany, New York. Admission is free and open to the public. • Pièce en forme de Habanera for flute and guitar by Maurice Ravel. Performers include Yvonne Chavez Hansbrough, flute; Paul Quigley, guitar; David Bebe, violoncello; and Young Kim, piano. 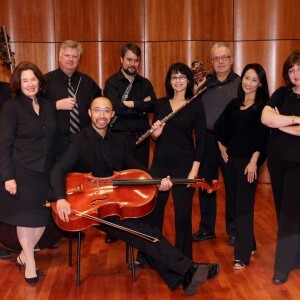 Directed by Yvonne Chavez Hansbrough, the Saint Rose Camerata is the College’s resident faculty ensemble. Each year since its founding in 2003, the Camerata has presented a series of concerts with diverse programming. Members of the ensemble perform recognized masterpieces, unfamiliar works and new compositions. The varied programs, often based on creative themes, are presented in mixed ensembles of strings, winds, voice and keyboard. For more information about the Saint Rose Camerata, contact Yvonne Chavez Hansbrough at 518-454-5193 or hansbroy@strose.edu.